The title is not referring to organization. I’m talking about students. Bouncing off of my latest post on Blueberries and Students, I’d like to reminisce about a boy I had last year. 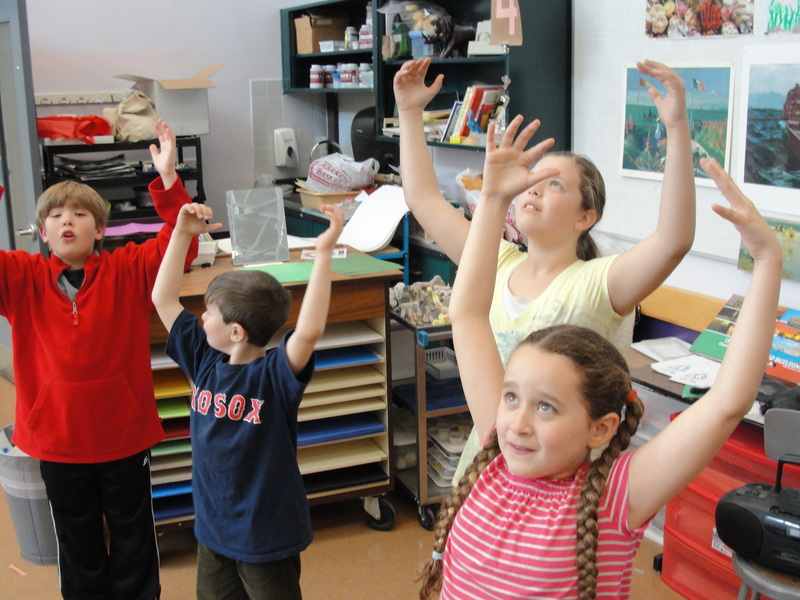 Near the end of the year, I conducted a Studio Day in my classroom called “Movement and Wellness.” I was excited about this Studio Day because it was different than any other we had done. Instead of painting, coloring, acting or listening, we were going to move and dance. 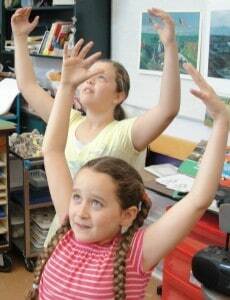 Girls reach up during a Studio Day built on movement. We started by moving in our own personal space to directions I would call out to carefully selected music (everything from Glen Miller to Miley Cyrus). 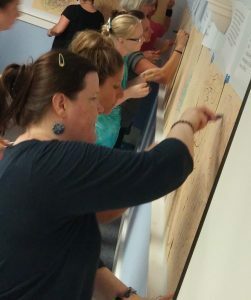 A few students got into it right away – there was NO stopping them! Others were shy at first, but then slowly found their comfort level rise. But one boy was just so very much out of place. He stood by the wall, complaining that he didn’t want to move, a look of hidden fear in his face. 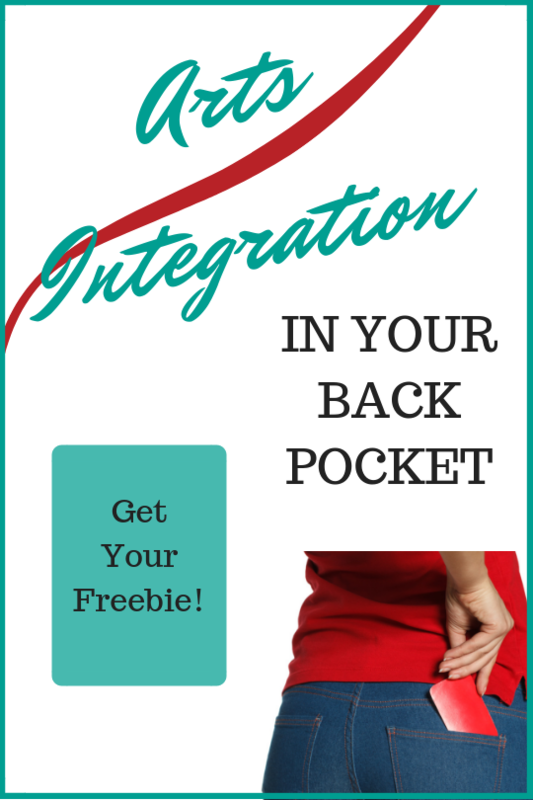 His peers encouraged him, I nudged him too while trying to also give him his time and space. I invited him to start by sitting first, asking a couple of other kids to sit and do that too. We invited him to just move one limb, again thinking that if a group of us did so, so would he. We all tried to lead him to the water, but he was not drinking. Until he started to cry. Luckily, it was at a transition in our day, so I was able to take him aside and then give him space to gather himself together. Once he was ready, we talked, he and I. It was evident that there was no way this kid was going to move with the music that day. He just didn’t feel it. That was ok, but I wanted him so much to participate and not miss out on the day’s activities. After all, this was a Studio Day where students were going to create something original, share it and reflect on their creative process. He had to participate in order to partake in the Studio Day. I mentioned my concern to him and that’s when he told me that he could work the music on iPad. I looked at him and said, “Well, why not?” But I told him that he would need to pay close attention to what we needed and adjust the mood of the music to match what the dancers were doing. He agreed and his look of concerned quickly turned to a smile. This boy became our DJ! He searched the playlist for appropriate music (he knew a lot of great songs) and caught on to the importance of fading the music out when the dancers were done. I guided him through, but that boy was a natural. It was fun to watch him. In reference to blueberries, it’s important that we always remember students come to us with different needs, desires, backgrounds, talents and understandings. It can be made obvious to literacy teachers who have a range of students that “need to make the grade.” But it’s also evident in all other areas of school and life. That day I learned that not everyone is ready for some of the things I want them to do. I have to tread lightly and make sure that I’m always looking for the way to include everyone in the activities that are planned. My job is not to be an unwavering know-it-all, but to be a muse. 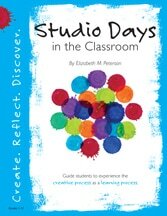 Look for more about Studio Days in Elizabeth’s book – Studio Days in the Classroom.